The growth of the eSports industry presents a great opportunity for brands, sponsors and the gambling industry - and particularly online betting brands. YouGov data helps to explain how those in the sector can capitalise on this relatively untapped market. 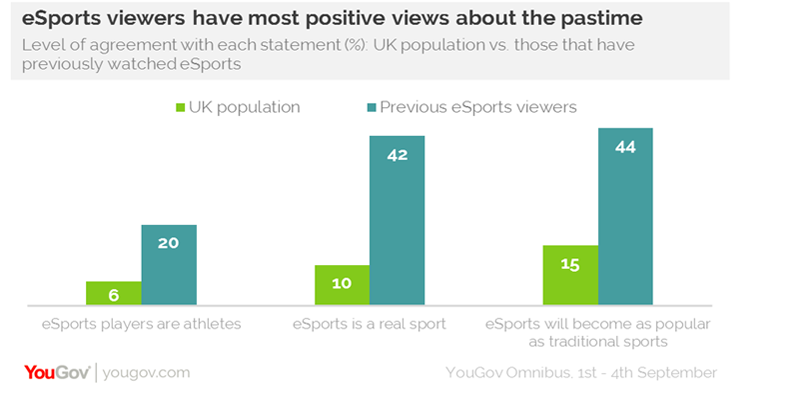 YouGov’s eSports report reveals that there is an appetite for betting on eSports events. A small proportion of those who have watched eSports have bet on it (7% of previous viewers). However, over a quarter (26%) of previous viewers would be interested in doing so. Notably, the UK lags behind other countries in the number of current and would-be eSports gamblers, but there is scope to reach the levels seen elsewhere. For example, while just 7% of previous viewers have bet on eSports in the UK, this rises to 48% in Australia, 26% in Singapore and 22% in Germany. Intriguingly, 45% of potential viewers in America would be interested in betting on eSports in the future. YouGov Profiles data indicates that gambling brands should be able to appeal quite readily to those that have either watched eSports and enjoyed it, or those that would be interested to do so in future. Put simply, they are more receptive to the industry than the average; 26% say they like gambling, against 22% of the public. Over half (52%) of those of this group say that they have visited the sports category of a betting website on desktop or laptop (compared to 42% or the public) similarly, 50% of eSports enthusiasts have visited the sports category of a gambling website on mobile (vs. 34%). Added to this, those with an interest in eSports are more likely to have placed a bet at a physical bookmaker (14% vs 12%), or to have bet with an online gambling company (17% vs 13%). They are also more inclined to play games (e.g. roulette, poker, blackjack etc.) or slots on a gambling website or mobile. Brands such as Bet365 are particularly well placed. Just over one in ten (11%) of those that have or would watch eSports have a positive impression of the brand, compared to 5% of the public at large. Paddy Power is another brand that does well with this group compared to the public (4% vs 2%). Online brands are also at an advantage. Of those that have watched the sport and enjoyed it, 78% are usually interested in trying the latest technology products services and apps (against 45% of the public). Added to this, 58% say they are among the first of their friendship group to try new technology and products (vs. 31%). Over nine in ten (92%) say technology changes their life for the better (vs. 80%). This group is clearly made up of digital natives, and brands should be confident that they could tempt them to their platforms with the right messaging. That said, while the industry is growing, it does have work to do in order to enter the mainstream, especially in the UK. While 77% of the online public in China are aware of eSports, this compares to 41% in the US and 35% in the UK. Naturally, the interest and viewership is most pronounced among those in younger age groups. Our data shows that one of the main barriers may be that it is not viewed as a legitimate “sport”. Over three fifths of the public (61%) say that eSports players are not athletes (only 6% say they are). Additionally, 59% say that eSports is not a real sport (against 10% that say it is), while 49% believe that eSports will never become as popular as traditional sports, with 15% saying it will. 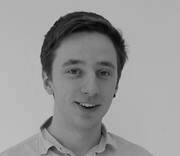 It’s clear that eSports is well-positioned to grow – it is just a question of degree. For now, its advocates are exactly the type of potential customers that online gambling brands should be looking to target with their marketing efforts.